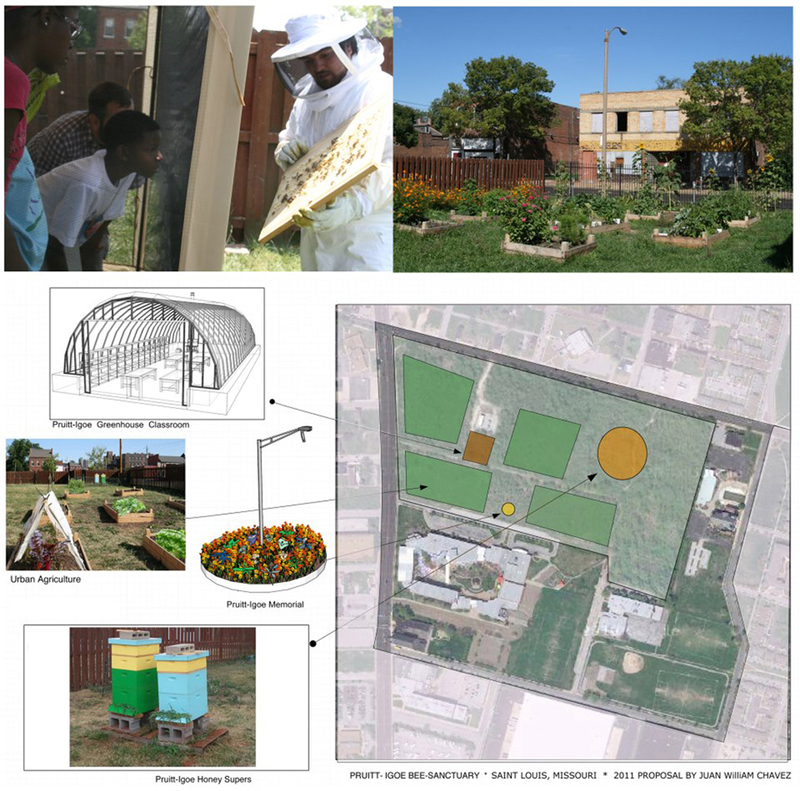 The interdisciplinary project Pruitt-Igoe Bee Sanctuary, aims to transform the urban forest where the Pruitt-Igoe housing once stood, in public space for urban agriculture – thereby addressing the theme of urban abandonment and also finding some creative strategies to solve it. Through summer workshops for Middle School students, art and agriculture are utilised as a means of engaging them in education, encouraging them to exercise critical thinking skills that contribute to overall academic success. 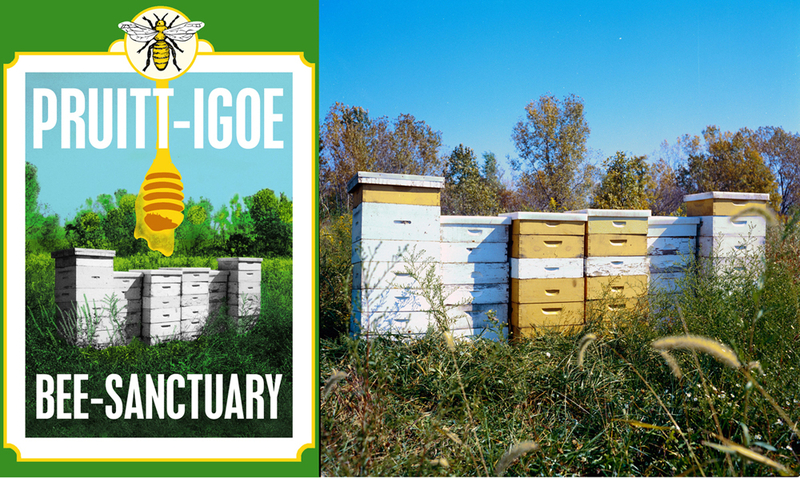 The Pruitt-Igoe Bee Sanctuary proposes to transform the Pruitt-Igoe site into a public space for community and education. Keeping students engaged in learning will keep them on a path to success including a better understanding of natural science applications, increased confidence through knowledge, greater awareness of healthy food choices, and educational success. Middle School students participating in the Living Proposal workshops receive an introduction to new art forms and learn the benefits of an urban garden which include access to fresh produce and knowledge of basic food preparation and cooking skills.